ARYAN Heavy Duty Sod Cutter, Size/dimension: 12"& 18"
PARAS Sod Cutter, Size/dimension: 12"
12" sod cutter use to remove sod completely. Also called sod eliminator. Owing to our rich industrial experience, we are offering a comprehensive range of Grass Cutting Machine. This range is developed using high-grade raw material and advanced machines, that are manned by our proficient personnel.we are the leading importer & Supplier. 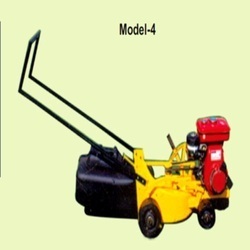 A prime Supplier of the best quality Sod Cutters, Shri Krishna Agencies provides Sod Cutters which are used for sod transplant. These sod cutters have perfect cutting efficiency and cuts long strip of sod with unified specifications. 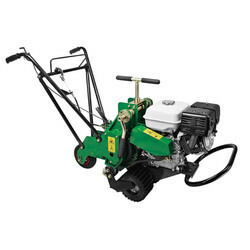 Sod Cutter, Size/dimension: 12" And 18"
We offer high quality range of Sod Cutter. This machine is used for sod transplant. This machine has perfect cutting efficiency and cuts long strip of sod with unified specification. So the cut sod is easy to roll up convenient for transportation. The sod has high survival rate after transplantation. Our range is highly demanded and can be availed at market leading prices.